A comfortable everyday tote for daily life - professional meetings, student classes, and weekend outings. Great for documents, folios, laptops, clothes, and essentials. One large compartment with Internal Pocket, Brass Button Closure, Solid Brass Key Snap and complimentary Personalised Engraving. Made from New Zealand Full Grain Cow Leather, Solid Copper Rivets and flat shoulder straps. Each bag is crafted within small runs of five, and is dispatched 1-2 weeks after ordering. The most incredibly rich and natural leather hand selected from our tannery. Put simply, Full Grain Leather leaves the outer surface of an animal's skin untouched, revealing its deep rich grain and natural markings to be seen. This is unlike most commercial leathers, which are sanded and painted to cover blemishes. 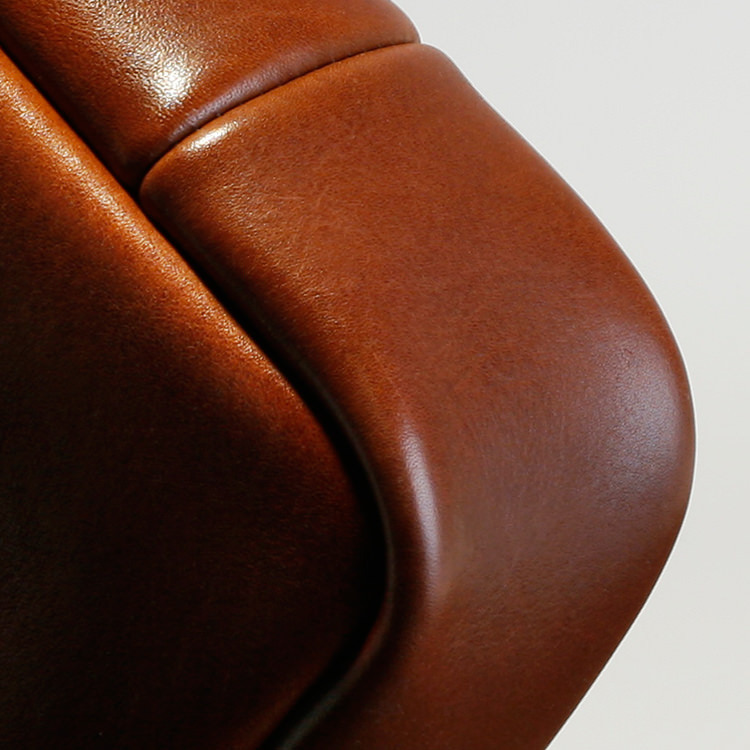 Full Grain is also the highest (and most expensive) grade of leather available, which results in a more natural product in both aesthetic and feel, enabling a natural patina and character to develop beautifully over time. We take great care to bevel, dye, heat, seal, and burnish our edges offering beautiful wear properties. When compared to other tote bags available, this level of finishing is unrivaled and consistent with luxury makers such as Hermès. Flat, broad straps for comfort over the shoulder. All straps are cut from specific parts of the hide for strength and stiffness.